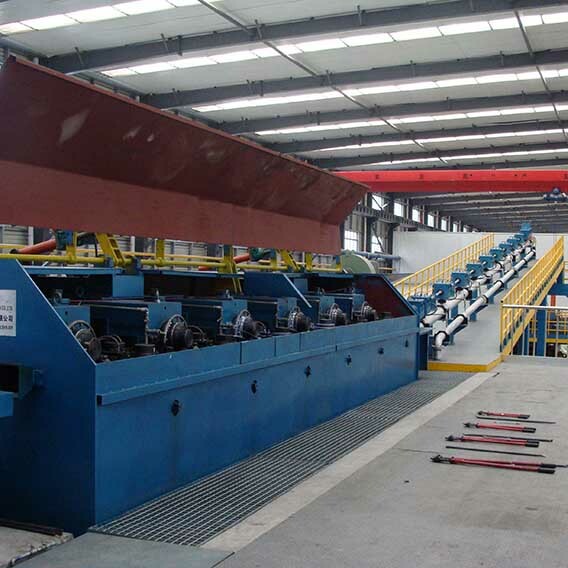 This line is unique in our country，it combines the advantages of relative international products of SCR of America, SMS of Germany，PROPERZI of Italy and the experiences of our company. 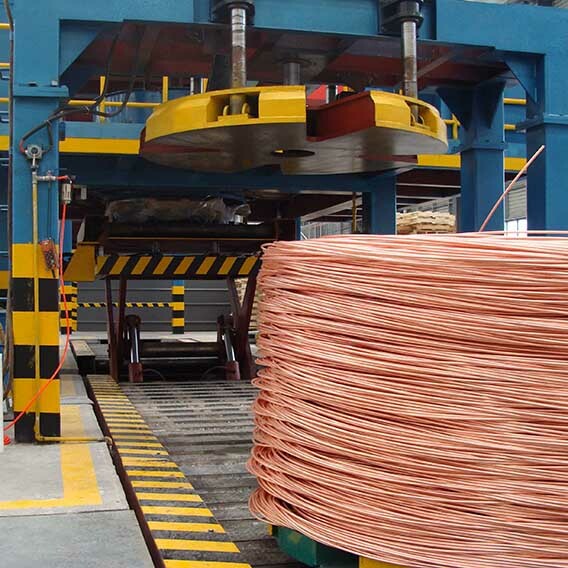 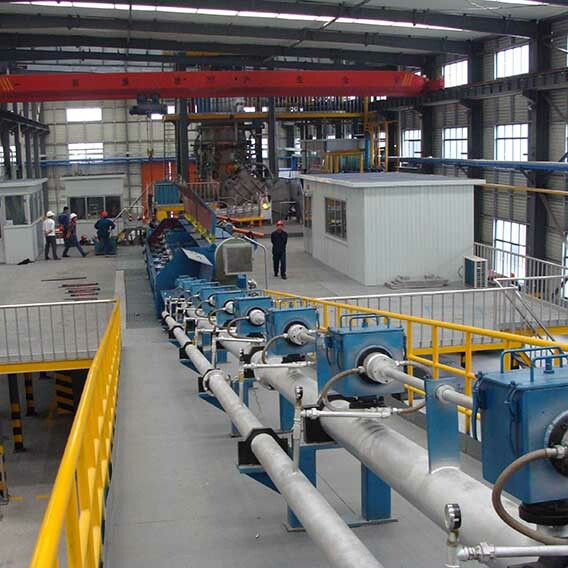 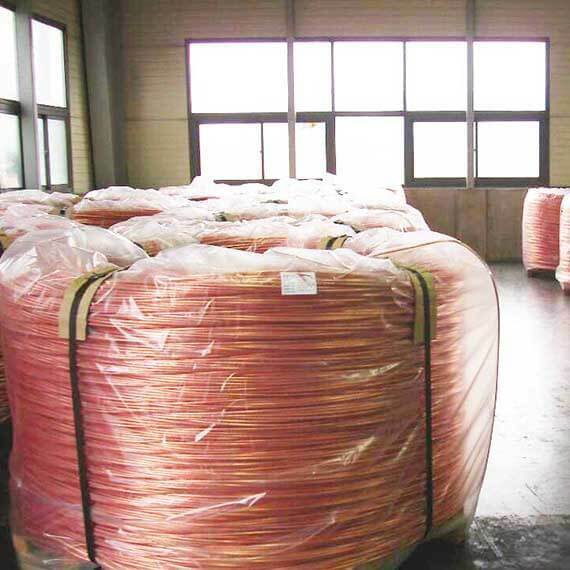 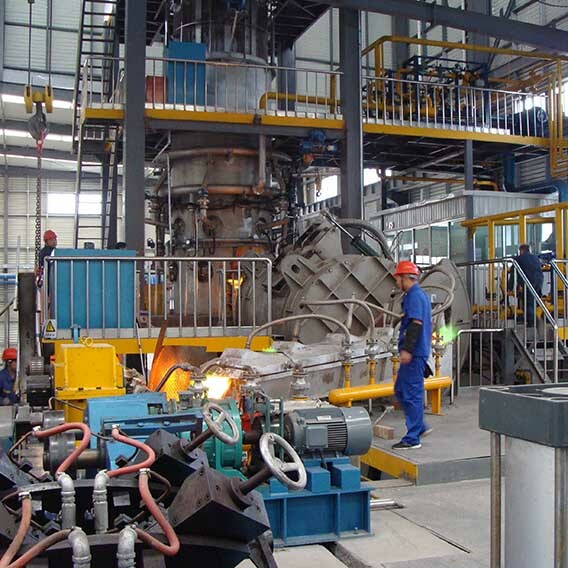 It uses 100﹪rejected red copper as raw material, and adopts the advanced refining technology to continuous casting and rolling bright hypoxia copper rod. 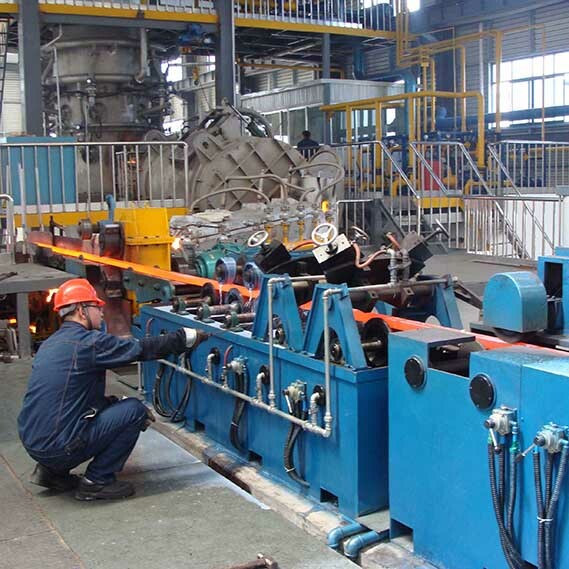 The final rod is conforming to the national standard. 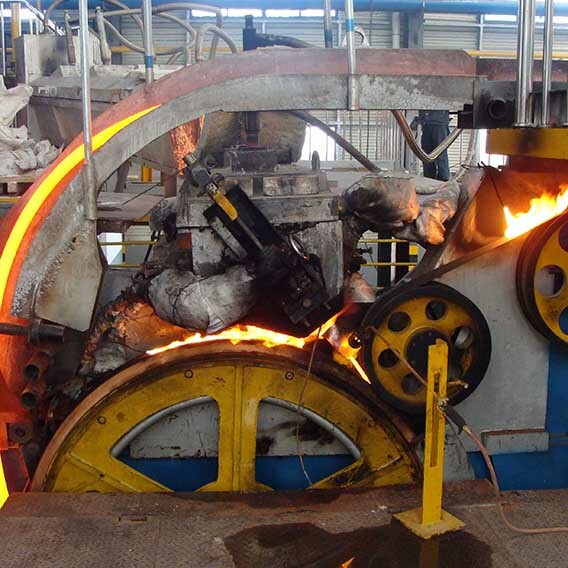 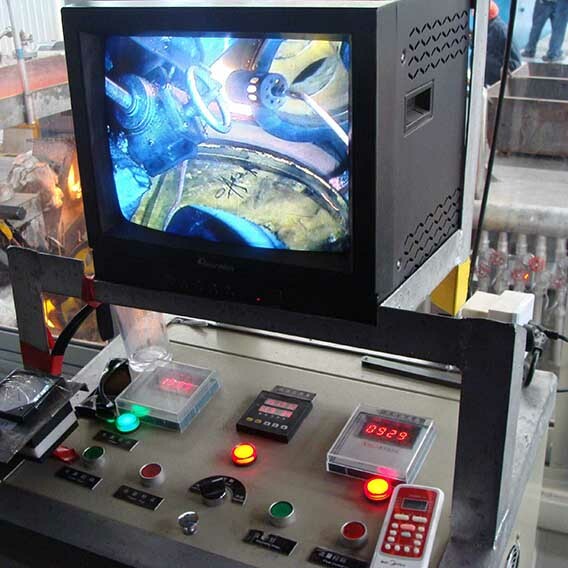 Cathode copper Vertical furnace Holding furnace、Launder Pouring groove 5-wheel Casting Machine Front haulage device Rolling Shear Straightening and Burring Machine Feeding Deice Two rollers Continuous rolling machine Reduction And Cooling Device Back Haulage Coiling device Hydraulic Package device.